For a long time the Arctic and the Antarctic have been framed as “our planet’s last great frontiers”, as regions containing untapped resource reserves where the management of activities in a harsh “unforgiving” environment is also seen as contributing to a prestigious reputation. At present, with the experience of global climate change, both regions are more often described as “barometers”, as “shared” regions, as regions of transnational significance where the protection of the environment is more often interpreted as being for the “sake of humanity at large” because the polar ice caps are considered as determining the “health of the planet”. Particularly, the now-famous notion that “there is no planet b” supports those who have been arguing in favour of preserving the “planetary home” for “succeeding generations” few decades ago. At the regional level, the Arctic Council (AC) and the Antarctic Treaty System (ATS) evolved at different points of time, which impacted the institutional structures of both, most notably their formal implementation as an intergovernmental forum and a treaty system respectively. They are the most important regional institutions shaping the politics of the Polar Regions. Despite their differences, however, over the course of time they have developed similar strategies to cope with challenges. Non-state actors, for example, increasingly contribute to policy making in these settings. Still, a predominance of certain understandings is particularly enforced by hierarchical policy making steered by state actors. In discourses on the Arctic and Antarctic, both similar and distinct concerns have been addressed and prioritised reflecting the disparities between the two regions and their politics. However, since 1989 across national and regional levels environmental concerns and international cooperation have been the issues predominantly discussed in the AC, the ATS and within the American polar-rim states. The various entanglements among practical, formal and popular geopolitical discourses in and beyond the American polar-rim states have contributed to the dominant interpretations of these themes in the politics of the Polar Regions. Despite the growing awareness of environmental concerns and climate change impacts in the discourses under analysis, most of the geopolitical reasoning has been sustained throughout the period of investigation and illustrates that policy making in the Polar Regions is strongly entangled with global, national and local politics as the reasoning drawn upon is represented, inspired and reinforced across these levels. Moreover, the politics of the Polar Regions are not only shaped by polar entanglements but also by inter-American ones. This is illustrated, on the one hand, by the growing cooperation among actors from the American Arctic-and Antarctic-rim states not only across both regional settings but particularly in neighbouring countries and, on the other, by the reproduction of similar patterns of interpretation in the discourses under analysis. The entanglements perspective is limited in its power to explain the overall contexts that guide policy making. It brings into light, however, how ordering principles evolve and operate that ultimately affect and guide policy making and governance structures. The polar entanglements identified in my book (among actors, discourses and representations) and the analysis of the contexts in which these entanglements are embedded thus help to explain past and recent dynamics in political processes that concern the Polar Regions and contribute to a more comprehensive understanding of the processes that shape their politics. Critical Geopolitics of the Polar Regions: An Inter-American Perspective is available at Routledge. 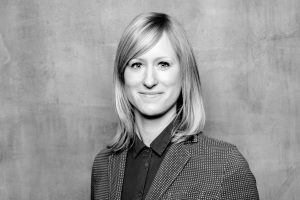 Dorothea Wehrmann works as a researcher at the German Development Institute / Deutsches Institut für Entwicklungspolitik (DIE) and as a lecturer at Bielefeld University (Germany). She holds a doctoral degree in Political Science, studied Social Sciences with a major in Sociology, Political Communication and InterAmerican Studies at the University of Osnabrück and at Bielefeld University. In addition to the politics of the Polar Regions, her research interests include formats of transnational cooperation particularly in the context of development cooperation. In the past eight years, she focused on regional dynamics in the Americas and conducted fieldwork in North-, Central- and South America.